Achieving diversity on a nonprofit board is a challenging but doable and an essential task. Many board members already understand that a homogeneous board can result in near-sightedness and group think. By contrast, a heterogeneous board — one composed of individuals with a variety of skills, perspectives, backgrounds, and resources — promotes creativity and innovation and yields differing voices that can play important roles in accomplishing the organization’s mission and increasing understanding of constituents and community needs. Diverse boards also are more likely to attract diverse donors, and grantmakers are increasingly focused on diversity. That said, many — if not most — nonprofit boards are not making meaningful headway toward achieving diversity. According to Leading with Intent: A National Index of Nonprofit Board Practices 2015, people of color increased from 16 percent in 2010 to 20 percent in 2014, but 25 percent of boards remain all White. Board members under 40 years of age increased from 14 percent in 2010 to 17 percent in 2014. Furthermore, only 35 percent of CEOs give their boards an A or B grade on increasing board diversity. 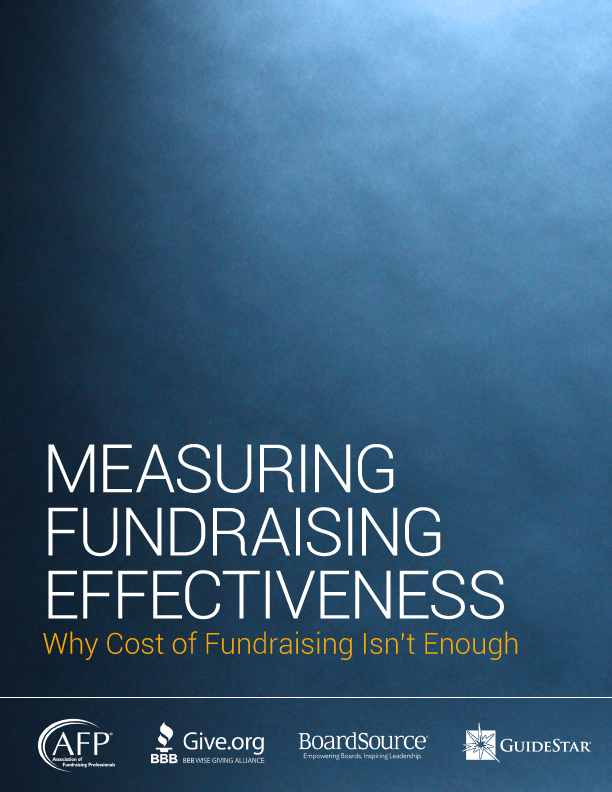 Our findings show a lack of concerted planning and follow-through. Most CEOs report that their boards have discussed the importance of expanding board diversity (74 percent) and actively recruited members from diverse backgrounds (80 percent). Yet only 19 percent indicate that the board has developed an action plan to increase diversity. If the nonprofit sector is to remain relevant, effective, and grounded in the needs of our increasingly diverse communities, nonprofit boards must become and remain inclusive. Unfortunately, it’s more easily said than done, as many boards have found. It requires asking what is holding you back from achieving the level of diversity you desire and then working to overcome those restraints and create an environment that encourages dialogue and interaction on diverse views. It requires confronting difficult issues and answering tough questions. 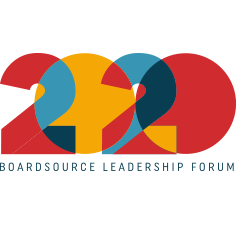 BoardSource has identified three strategies to assist boards in embracing and integrating diversity and an inclusive environment. To implement these strategies, you should begin by appointing a task force to oversee the process. Don’t assume everyone agrees about what diversity and inclusion mean for the board. Before asking “How do we become more diverse?” boards must ask “Why do we need to become diverse?” Your board should have an open, thoughtful discussion to consider how it and your organization, community, and constituents might benefit from diversity within the board. Equally important, your board should discuss the opportunities that might be missed if it remains homogeneous. Also, you must anticipate and address how the board will react and potentially resolve challenges that arise due to different opinions, approaches, and attitudes. Discussing race, culture, ethnicity, gender, and even age and generational issues in the boardroom may ignite personal awareness and, for some, discomfort. The simple truth is, most people develop prejudices and stereotypes from friends and family at a very early age. To think about diversity objectively requires intellect, energy, integrity, and time. Your board members must consider if they are ready as individuals and as a group to identify, confront, and work to eliminate their personal biases, blind spots, and prejudices as well as those embedded in the board and organization’s culture. Are people of color comfortable serving on the board? Does the board consider issues relating to race and ethnicity when it sets policies and makes decisions for the organization? What could the board do differently to become more inclusive and welcoming? What could the board do differently to address the needs of communities of color? Some boards will buy into the need for becoming more diverse and inclusive based on their individual visions and values. Some will require a business case to convince them of the necessity. To help your board develop, articulate, and embrace a shared vision for inclusiveness, it is important to write a compelling case statement. Consider incorporating your board’s definition of inclusiveness (one organization’s definition may not be another’s definition), data about your community, a description of what your board will look and feel like when inclusive, an indication of how inclusiveness relates to or will impact the board’s ability to fulfill your organization’s mission, and information about how you plan to put your commitment to inclusiveness into action. Think of it as an inclusiveness vision statement with detail. To put your commitment into action, develop a plan that includes strategies, concrete goals, objectives, tasks, and a timeline. Boards are more likely to focus on an issue if an official goal or policy exists to remind them of what they want to achieve. Cultural competency — the willingness and ability to value differences and be responsive to diversity. Inclusiveness — the involvement of diverse individuals and the incorporation of diverse perspectives, needs, contributions, and viewpoints. Diversity —the condition of being different; the fact or quality of being diverse; variety. Diversity includes, but is not limited to: gender, age, religion, sexual orientation, race/ethnicity, language, socio-economic status, legal status, disability, geographic base, political viewpoint. Multiculturalism —an ideology advocating that society should consist of, or at least allow and include, distinct cultural groups, with equal status. When setting goals, your board will have to decide whether it wants numerical goals. On one hand, some may argue, it helps define the target. On the other hand, trying to reach a numerical goal can overshadow the more important goal of identifying individuals who have the experiences and interest that best fit the board’s needs. In no event should diversifying the board become a matter of filling a quota. When Brian Gallagher joined the United Way in 2002 as president and chief executive officer, he expressed his commitment to having a person of color serve as the board chair of the organization, which had not had an African-American chair in the organization’s 116-year history. Eighteen months later, Johnetta B. Cole became the chair. Once your board is clear about what it wants to achieve, the task force should create a pipeline of diverse board member candidates. So often, board members approach the “usual suspects” — their best friends or individuals who travel in their same social circles and networks — resulting in a pool of candidates without much variation. To achieve a different result, the task force should cast a wide net and look at nontraditional as well as traditional sources for candidates. Other sources might include the local chamber of commerce; members of other nonprofit boards; community leaders; clients or customers; professional, trade, or fraternal associations; organizations representing various racial or ethnic groups; local colleges and universities; MBA programs; and executive leadership programs. Consider using an executive search firm if funds permit or if it will donate its services for free or at a reduced cost. Search firms often have databases of people with diverse backgrounds. Another option are board matching services, which match their databases of volunteers with nonprofit organizations. The increased demand for minority board members is also spurring efforts such as United Way of Greater Houston’s Project Blueprint to help match minority professionals with nonprofit boards. Be aware, however, that high-profile people of color are often asked to serve on nonprofit boards, and your invitation might be declined. If so, ask why. This is an opportunity to learn how your organization is perceived. Then ask another individual to join the board. Many organizations identify their needs for inclusiveness and diversity only to confront the biggest challenge of all: how to fill all those needs without weighing down the board with too many members. When a board is too large, some members may feel disengaged, and decision making can become cumbersome. To maximize the board’s effectiveness, all board members should possess more than one skill or attribute. For example, the governance committee of a nursing home board determined that it was going to need members with financial expertise, connections to the local African-American community, and understanding of issues facing frail, elderly people. As a result, the board identified a promising prospect in an African-American man who served as chief financial officer of a major community organization. His father was also a former resident of the nursing home. It is important to remember that building a diverse board is not about tokenism. No board member wants to fill a quota, and no one is able to represent an entire subsection of the population. You must treat each board member equally and expect the same from everyone. Organizations are often more successful integrating new voices when the new group makes up 30 percent of the total — or, at a minimum, at least three people. This helps change the culture, and the new participants will not feel isolated. To better integrate new members, incorporate informal social time and training on diversity and inclusiveness into board meetings. Also consider whether your board and organization would benefit from cultural competency training. When you have identified promising candidates, find ways to connect with them and cultivate their interest. The board’s commitment to inclusiveness needs to be articulated and clarified early in the recruitment process. Discuss it as well as board member expectations and responsibilities. Tell prospective members why they are wanted and needed, invite questions, elicit their interest, and find out if they are prepared to serve and lead. To stay focused on your objectives and goals, monitor your progress on a quarterly or semi-annual basis. Track your retention rates of diverse members. Conduct exit interviews to further assess your progress and identify areas where you could improve. Administer board self-assessments that include questions related to diversity strategies and goals. Survey staff, constituents, and stakeholders about their perceptions of the organization’s culture of inclusiveness. Meaningful change in board composition, dynamics, and culture will not occur overnight. It takes time and commitment. Creating a climate for change through ongoing communication and engagement of the board in the process will help sustain your efforts and overcome resistance along the way.